We're conveniently located at 4009 Redford St., Port Alberni, BC. Our friendly and experienced eye doctor, Dr. Shaun Golemba, is pleased to serve Port Alberni, BC, and all surrounding communities with an extensive range of eye care services. Everyone, from infants to golden-agers, should visit an eye doctor for regular eye exams. Our office is outfitted with the latest diagnostics and high-tech optometric devices to check eyes, such as OCT Scans, retinal imaging, and iCare tonometry. Using top-notch skill and a pleasant bedside manner, Dr. Golemba will perform precise vision testing, as well as inspect for any signs of ocular disease. If you are diagnosed with an eye disease, such as glaucoma, macular degeneration, or cataracts, we will manage it to prevent vision loss. 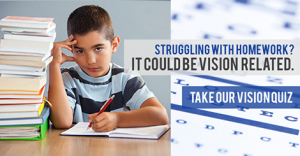 Your Port Alberni, BC, eye doctor specializes in Low Vision and Vision Therapy. Also, if you experience dry eyes, we offer detailed assessments to recommend treatment that will alleviate your painful vision. Do you need new eyewear? We welcome you to look through our designer optical collection for stylish, high-quality eyeglasses and sunglasses, or to replenish your supply of contact lenses from our premium selection. 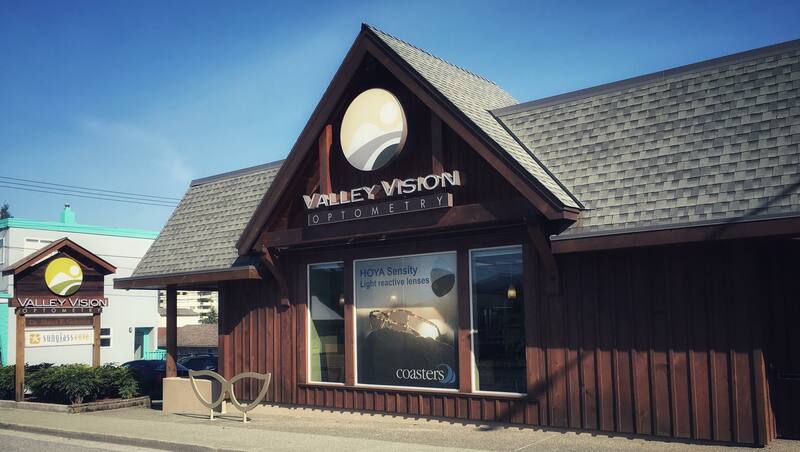 In sum, Valley Vision Optometry offers everything you need to look sharp and see clearly! What is there to see in Port Alberni, BC? Now that your vision is crystal-clear, we can recommend some local must-see places! Port Alberni, located on Vancouver Island, is encircled by majestic mountains. Along with gazing at the eye-catching scenery, you can hike through the Alberni Valley on the many trails running through the wooded, lakeside forestland. Head to Victoria Quay, about a five-minute drive from Valley Vision Optometry, to picnic in the waterfront park. Be sure to gaze upwards at the two Welcome Figures that rise above the entranceway; the local Hupacasath First Nation carved these colossal columns. You can also watch black bears safely from this site across the river from the Somass Estuary. Port Alberni Harbour Quay offers a picturesque area to browse and shop in boutiques, view art galleries, and enjoy a bite from local eateries. Visit on Saturday mornings to experience the lively Spirit Square Farmer’s Market. Another glorious waterfront park is at Canal Beach, at the south end of Port Alberni, BC. The lovely panoramic harbour backdrop will wow your sense of vision! Our optometry team encourages you to visit the Alberni Valley Museum, one of the best community museums on Vancouver Island. See a variety of intriguing First Nation displays alongside a fascinating collection of vintage items. Next, you should hop aboard the Alberni Pacific Railway steam train and journey to the historic McLean Mill, the only commercial steam-powered sawmill in Canada. Just around the corner from our eye care center is the Yellow River Restaurant, a great all-you-can-eat, casual place to satisfy your craving for Chinese food. Another restaurant that’s almost next door is the Harvest Restaurant, with a diverse menu of comfort foods. In the mood for Italian? Drive about three minutes down Redford Street and up 6th Avenue to La Bruschetta Bistro, where you’ll be delighted by the savory dishes. No matter what type of food you favor, Port Alberni, BC, is filled with a wide selection of restaurants to tantalize all taste buds. We were excited to attend The 14th Annual Meeting of The International Academy of Low Vision Specialists. See what we learned.